One of the most leading manufacturer & supplier of River , Garnet Sand, Basalt Sand, Silica Sand, Filter Sand etc. These are manufacture by our skilled professionals. We are the leading organization in the industry to provide our clients the best quality array of River Sand. 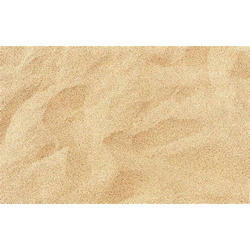 Being a leader in the industry, we are engaged in offering a qualitative range of NS 11 MAUI Fine Sand. Keeping in view the varied desires of our prestigious patrons, we have come up with a huge collection of River Sand. We are one of the topmost suppliers and processors of Fine River Sands and export this product to our extremely widespread clientele. Deposited naturally by a river stream, these can be obtained from river beds and processed further. Refining process is inclusive of getting rid of impurities using high technology equipment. Chevron Minerals And Mines Pvt Ltd.
worlds hardest natural sand which used in pesticide manufacturing.